Intestinal Permeability, AKA leaky gut is a specific condition whereby the lining of the smaller intestine is damaged. The resulting factor of this damage is that specific bacteria, food particles, and toxic waste products to seep out via the intestines and overflow into the bloodstream. When this happens, it can cause a number of different reactions in a person’s body in the form of an autoimmune response. This can present in a number of ways, such as eczema, food allergies, headaches, rheumatoid arthritis, chronic fatigue, irritable bowel syndrome and more. When a person develops a leaky gut, it also means that the damaged intestinal cells will no longer produce the proper enzymes needed to digest food correctly. As a result of this, the vitamin, minerals, and nutrients that are needed do not get absorbed into the body, which can lead to a weaker immune system, and potentially unbalance levels of hormones as well. What Can Cause a Person to Develop a Leaky Gut? In nearly all instances, a leaky gut is developed as a result of a person’s diet. While it differs greatly from one person to the next, there are certain foods such as those which include dairy, soy, and gluten, which can trigger a person’s body to take the fight and respond. In many cases, when a person is sensitive to a particular substance or food, this can result in the production of antibodies, which in turn, trigger an immunological response that can cause headaches, tiredness, inflammation, and diarrhoea. Aside from the diet, there are also some forms of medication that cause irritation to the lining of the intestine and the protective mucus layers as well. Some of these include aspirin, steroids, or even regular antibiotics. How can you tell if you have a leaky gut? As with all conditions of this nature, each person will have slightly different signs and symptoms, and what may present in one individual, might not be present in another. Here are some of the top signs that you could have a leaky gut. What type of foods should you be avoiding or eating more of with leaky gut syndrome? There are lots of different types of foods that can really help if you have a leaky gut; similarly, there are certain types of food you should try to avoid. Here is a quick summary of both what to eat and what not to eat with this condition. Sugar – Refined sugar is the worst of all the types of sugar you could have. This is what is usually added into your typical deserts and drinks. Even natural sugars such as maple syrup and syrups can be problematic as the sugars can imbalances within the gut by further feeding bacteria and yeasts. Milk – There are lots of people who can have problems with milk and dairy in their diet, and it is one of the most common food sensitivities. However, there are so many alternatives for traditional dairy products, such as coconut milk, almond milk, and rice milk. Grains – There are lots of grains which contain a high level of gluten, such as rye, barley, spelt, and wheat. Although there are plenty of whole grains that form part of a healthy diet, it is important to try to only eat whole grains which are sprouted or soaked as this can deactivate any anti-nutrients. TIP: Usually, if a person has a leaky gut, then it is best to avoid all types of gluten altogether until such a point that the lining is fully functional again. Healthy Fats – There are good fats, and there are not-so-good fats. Omega-3 fats are notoriously anti-inflammatory in nature and very easy to digest. Healthy fats are renowned for improving digestion and helping to feed the good bacteria in the gut. Phytochemicals – There are some very powerful plant-based foods that are enriched with phytochemicals, and which are renowned for their anti-inflammatory and healing capabilities. Although raw fruits and vegetables are often difficult to digest, when they are blended or cooked, you can still benefit from the nutritional properties. The best way to choose fruits and vegetables that are high in phytochemicals is via the colour, the brighter, the better! 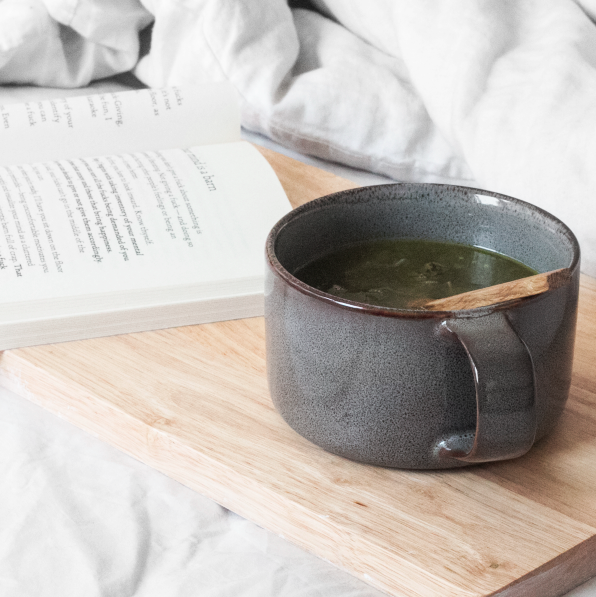 Bone Broth – This particular type of broth is known as a super-food and one which is exceptionally beneficial for a leaky or inflamed gut. The best variety is home-made organic bone broth that is made from grass-fed animal bones. Turmeric – This is swiftly becoming one of the most popular spices in the nutritional and healing realms. It has well-documented anti-inflammatory properties, and it can also help to support the detoxification of the liver. Fermented Foods – These types of foods introduce a specific type of good bacteria into the guy. There is a range of cultured vegetables such as sauerkraut and kimchi that are ideal, and also some specific types of fermented drinks such as Kefir and home-made kombucha that are good examples that help to support a healthy intestinal flora. 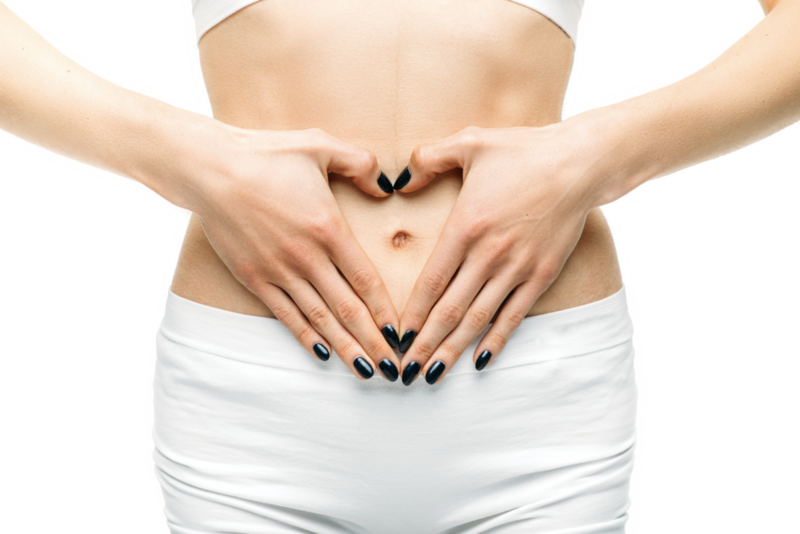 How can you get rid of a leaky gut? The key to getting rid of a leaky gut is to stop putting foods into your body which are known to cause stress or damage to our gut lining. Caffeine, alcohol, dairy, gluten, soy, and sugars are all typical problem foods for many people, and, in most cases, the elimination of some or all of these foods alone can significantly improve a person’s symptoms. Aside from this, adding in certain foods such as fish, flax, avocados, and coconut oils can restore the proper levels of good bacteria within the gut. L-Glutamine is a specific type of amino acid that is typically found in these founds and can be supplemented in order to rejuvenate the lining of the intestinal wall. Instead of just having bone broth plain, sometimes I love to turn it into a soup. Throw in a few extra ingredients for added micronutrients, and you've got yourself a great little soup to help with stomach issues. This is perfect as a little add in on a ketogenic diet too, because keto will be making your body burn through more electrolytes, help replenish them with this soup! Place a pot on low heat, add oil, chopped onion and garlic until fragrant. Join our free newsletter for recipes, tips, and tricks + a discount! Thank you! Please check your emails and confirm the subscription.